Our synagogue worship focuses on the joyous celebration of Shabbat and Holidays. Nearly every month on the Jewish calendar we celebrate landmarks of redemptive and spiritual import , festivels of universal as well as particular meaning. 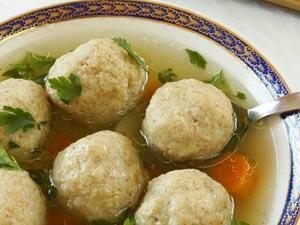 Springtime brings Passover with images of Matzah and cups of wine and joyous seders, surrounded by family and friends. On Shavuouth we read the Ten Commandments from the Torah. Our kiddush is replete with blintzes and cheesecake. Dairy foods are traditional as symbolic of the Torah's compassionate teachings, echoing a mother's compassionate , nurturing love for her children. Summer brings the sad observance of the Tisha B'Av fast, where we recall the destruction of both Temples in Jerusalem, as well as many other sad days in Jewish history. We read from Eicha, the Book of Lamentations, by candlelight, and sit on the floor. Fall all too quickly arrives with Rosh Hashana, Yom Kippur, Sukkoth and Shemini Atzereth/Simchat Torah. The High Holidays bring the entire community together, with our weekly worshippers and our annual worshippers coming together, rubbing shoulders and celebrating as one. On Rosh Hashana, also known as Yom Teruah, or the Day of Blowing, we blow the shofar 100 times throughout the day. On the first day of Rosh Hashana we usually enjoy a sumptuous festive holiday meal as a community, all prepared in our own rabbinically supervised kosher kitchen. Following the meal we all walk two blocks to the local pond and cast our bread upon the waters as we all say Tashlikh together. At the conclusion of Yom Kippur we blow the shofar again with a final long blast, and then partake of a Break-the-Fast communal meal. 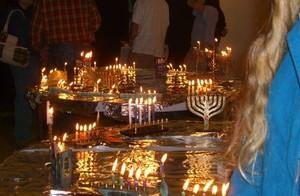 On Chanukah, as the days shorten and the nights lengthen, the whole community comes together in song and celebration. We kick off the festive with everyone from the community brings and lights their own menorahs! Imagine how beautiful the scene is when the room is darkened and set aglow with the kindling of hundreds of candles as we recite the blessings in unison. Then out come thousands of steaming latkes and piles of jelly donuts! Dreidels spin and the music plays as everyone dances and sings. Pure joy. Mid winter brings Tu Bishvat, where the Hebrew School observes its annual Tu Bishvat Seder. Late winter/early spring brings Purim, where all the children parade in costume and everyone gathers to listen to the Megillah read out loud. With the mention of wicked Haman's name, cacaphonous noise drowns out his memory as groggers the swirl. 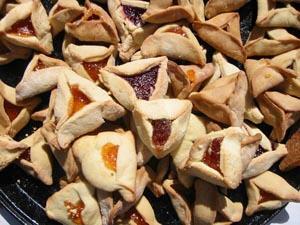 Then out come the Hamantaschen of all flavors and boxes of Shalach Manos! Shabbat is a weekly celebration of peace, joy and transformative rest. Each month offers a different holiday, and a new opportunity for the entire community to come together to celebrate as one.